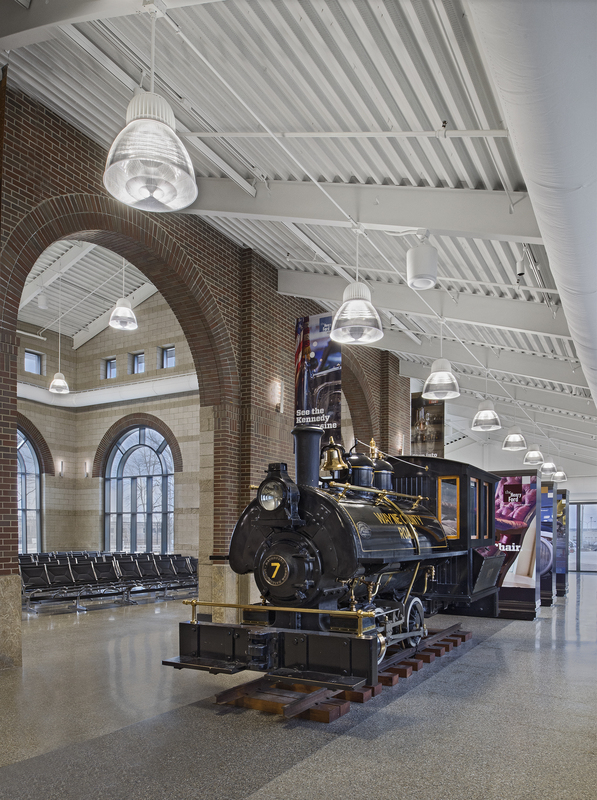 In cooperation with the Michigan Department of Transportation (MDOT) the City of Dearborn prepared the design for an Intermodal Passenger Rail Facility that addressed three important issues. First, the relocation of the facility to a point on the track which will connect Dearborn to the Midwest High Speed Rail Initiative at both The Henry Ford and the West Dearborn Downtown District. 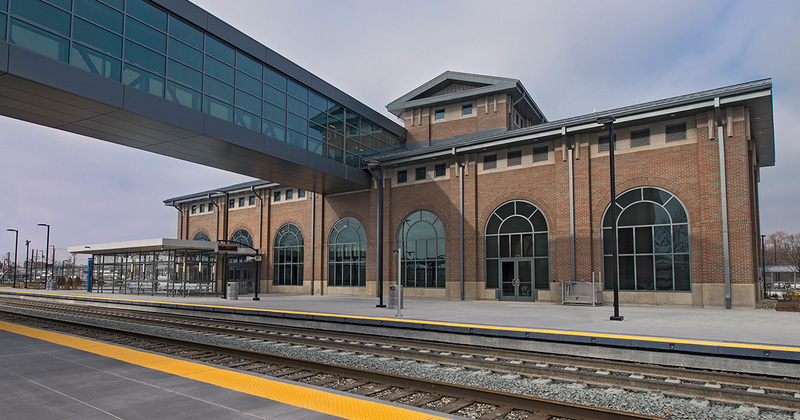 Second, consolidate Dearborn’s two rail passenger platforms (the existing Amtrak location and The Henry Ford stop) into an improved single location that is visible and highly accessible. 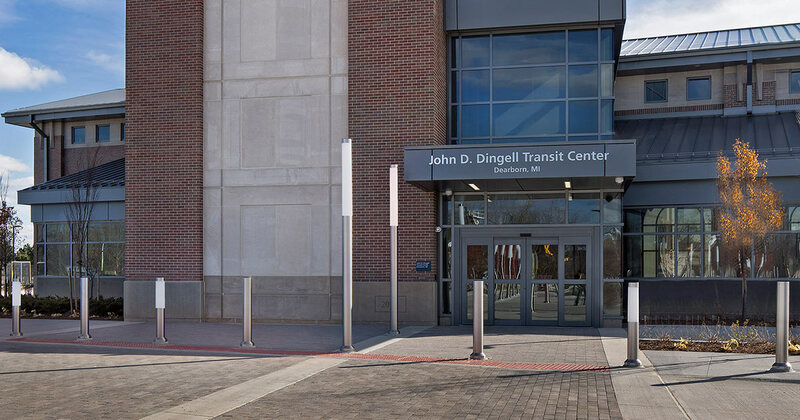 Third, direct access to The Henry Ford and West Downtown area to provide a walk-able solution that connects the Facility directly to large user groups (such as the 1.7 million annual visitors to The Henry Ford), and the 28,000 college students enrolled at the nearby University of Michigan Dearborn and Henry Ford Community College campuses. 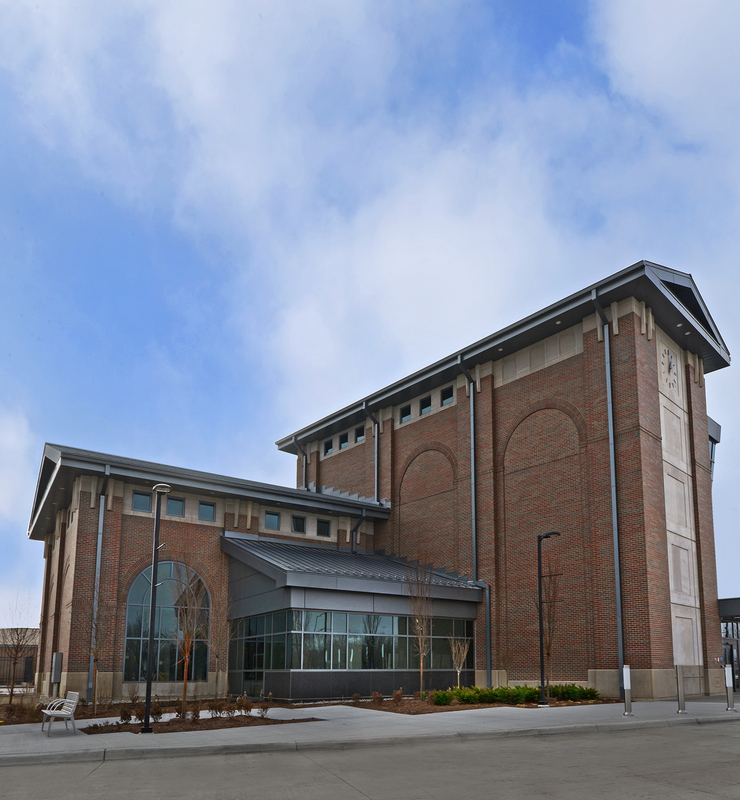 The project is on a 21-acre site and includes two, 800′ platforms and pedestrian bridges over the railroad and Michigan Avenue. 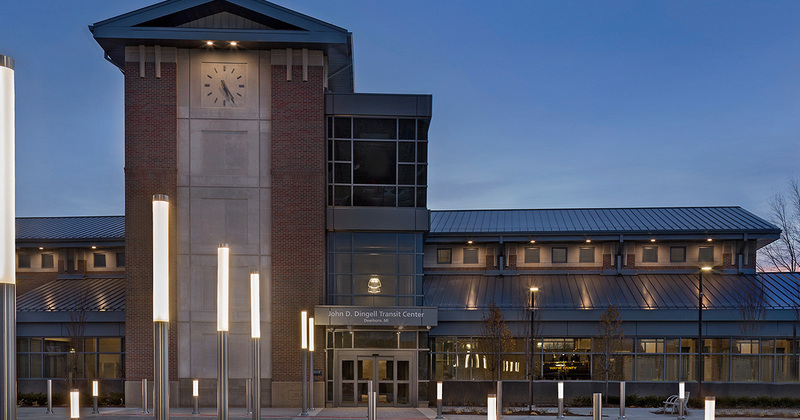 The intermodal aspect of the new facility integrates all facets of the City’s transportation network including high-speed passenger rail, accommodations for pickup and drop-off accommodations for regional and inner-city bus systems, local and tourist shuttles, automobiles, taxis, limousines, and airport connectors to Detroit Metro Airport. This facility is LEED Silver Certified. This project presented a very unique set of challenges dealing with a variety of owner entities. Tooles worked with the City of Dearborn, MDOT, the Federal Railroad Administration, Ford Land Development, The Henry Ford, Amtrak and Norfolk Southern Railroad. Every single one of these representatives has an ownership interest in the successful completion of the project.